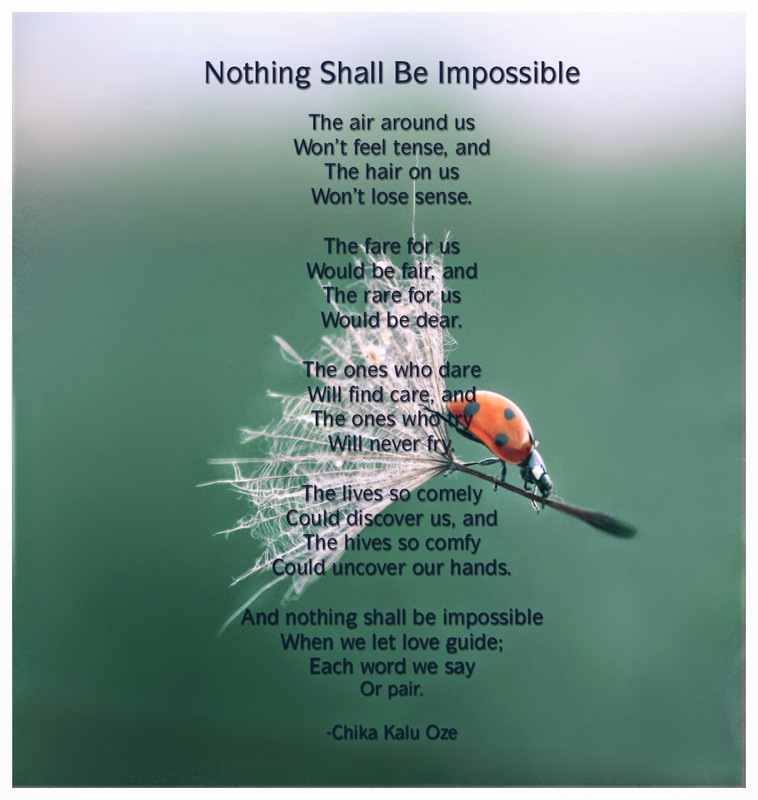 Chika Kalu Oze is a poet and words artist. The piece featured here is from Be Number One! a collection of inspiring poetry by the artist that centers upon the empowering message of achieving excellence through expanding consciousness and training one's mind. His collection is currently selling on amazon.com.